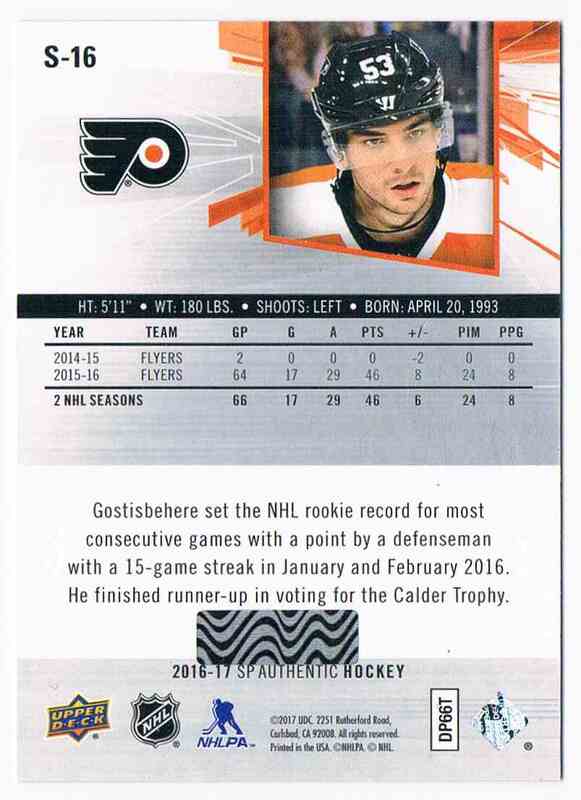 This is a Hockey trading card of Shayne Gostisbehere, Philadelphia Flyers. It comes from the 2016-17 Upper Deck SP Authentic set, card number S-16, serial numbered Error no name on. It is graded by Cs. 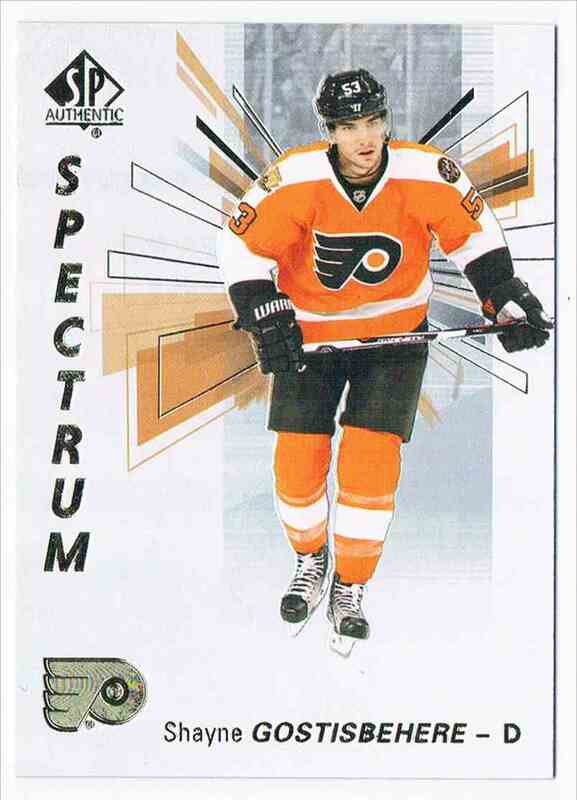 Spectrum Unscratched. It is for sale at a price of $ 4.00.